For someone starting out on his or her dog showing career, every step can be daunting. You will have questions every step of the way. After a year or two in this exciting new world you will know your way around and be able to advise newcomers. To exhibit a dog you need to know when and where the dog shows will be. You cannot turn up on the day and expect to be able to enter. Entries are made at least a month before the show – longer if it is a Championship Show. If you have joined your breed club they will send you a schedule of their shows as they occur. These are normally sent out two to three months before the show. In each of the two weekly canine publications there are breed notes written for every breed registered with the Kennel Club. These notes are written by fellow enthusiasts and are collated from information sent in by other exhibitors and owners. Quite often they will advise of up and coming breed club shows. The Kennel Gazette is the official monthly publication of the Kennel Club and will list all shows for the following months ahead. This is an interesting publication as it gives changes to rules judging appointments that have been approved for Championship shows and much more. People new to the dog world may find this publication a little too intense to begin with and are advised to stick to the weekly dog press. These are the two weekly canine publications for the show fraternity. Full of dog news and results from dog shows they are essential reading for every exhibitor. The back pages are full of future shows and items for sale. Many people have a favourite publication; it is advisable to purchase copies of both until you find which one you prefer. Both these papers have websites. When you spot an advertisement for a dog show you would like to enter there will be a telephone number for the club secretary. It is advisable to ring at a sensible time – avoid meal times and don’t ring too late. If possible write for a copy of the schedule and enclose a stamped addressed envelope. Clubs are run on limited funds and will appreciate your thoughtfulness. There are two major printing companies that produce much of the printed material for show societies be it schedules, catalogues or judges paperwork. These companies now have the technology for exhibitors to download schedules from their websites. The Kennel Club also lists forthcoming shows on its website. Your breeder will be able to advise you of what shows to enter. 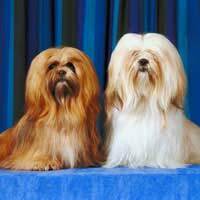 It may be that your dog will do better under certain judges rather than others only your breeder will be able to advise about this. In time you will learn what judges prefer your ‘type’ and when it’s best to stay at home. Quite often you will find that the person organising your training class will have copies of schedules for local Open shows – perhaps even a Championship show. When you begin to attend dog shows you will see piles of schedules around the venue that you can take for further entries. It is common to take some back to your own training class to help fellow members. After one year you will be ‘in the loop’ so to speak, having attended quite a few dog shows. You will automatically be sent a copy of a schedule for any canine society show that you have entered in the previous year. When you become an experienced exhibitor remember what it was like when you were a newcomer. Pass on your knowledge and be a friend to those just joining the dog game.